The End-of-Summer Recap & 15,000 Views! For me, the advent of autumn ushers in nostalgia alongside sweater season; perhaps it is a combination of back-to-school (another year older!) + the Jewish holidays (another year over!). This fall is no different, and with a big birthday looming on the horizon, I could wax poetic for a while. 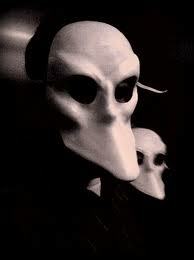 Sleep No More: The immersive, highly-interactive theater experience loosely based on Shakespeare’s Macbeth set in several stories of an old warehouse in West Chelsea theatrically redone as an abandoned hotel, the McKittrick. Our group of 12, separated from the start, all had intensely different experiences following different actors throughout the evening, which we then recounted over incredible live-music and cocktails at the bar after. Highly recommended. Wear sneakers. Imran Qureshi installation on Met Roofdeck – this large-scale installation consisted, essentially, of red acrylic splattered on the Met Roofdeck to represent recent bombings in Lahore, Pakistan. Needless to say, I didn’t quite “get” the art part of it. However the Pakistani cocktails (oxymoron?) 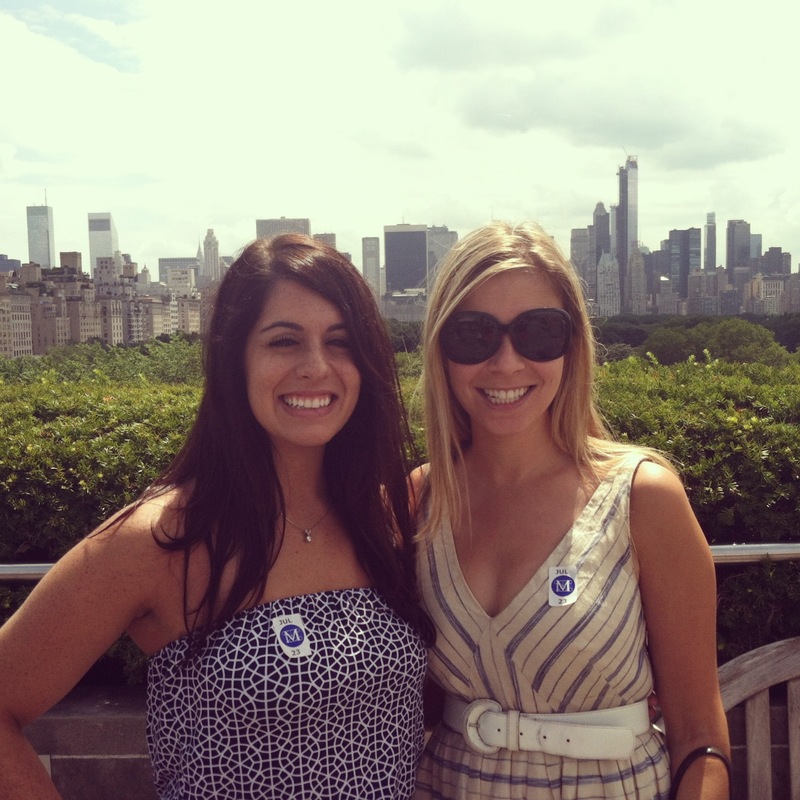 were delicious and the views of Central Park and the city skylines as awe-inspiring as ever. 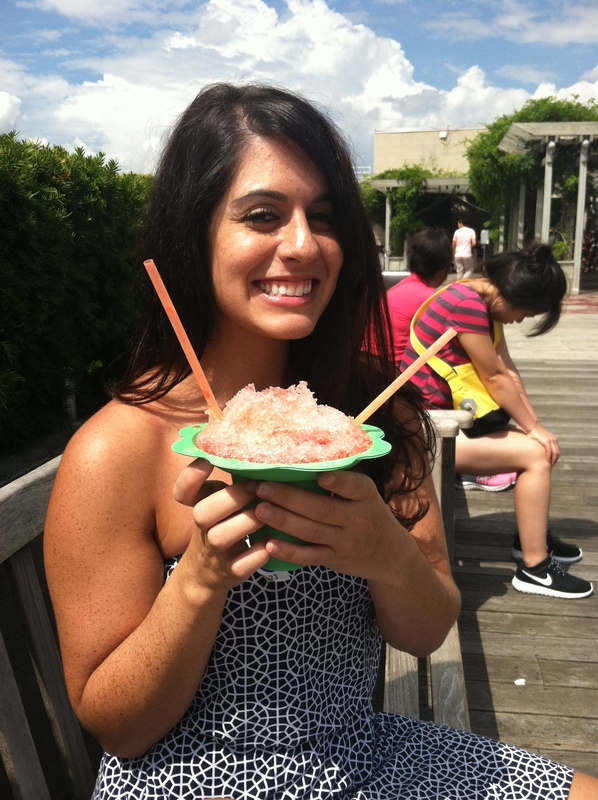 Below, Liz with what essentially was a vodka sno-cone. Yum. 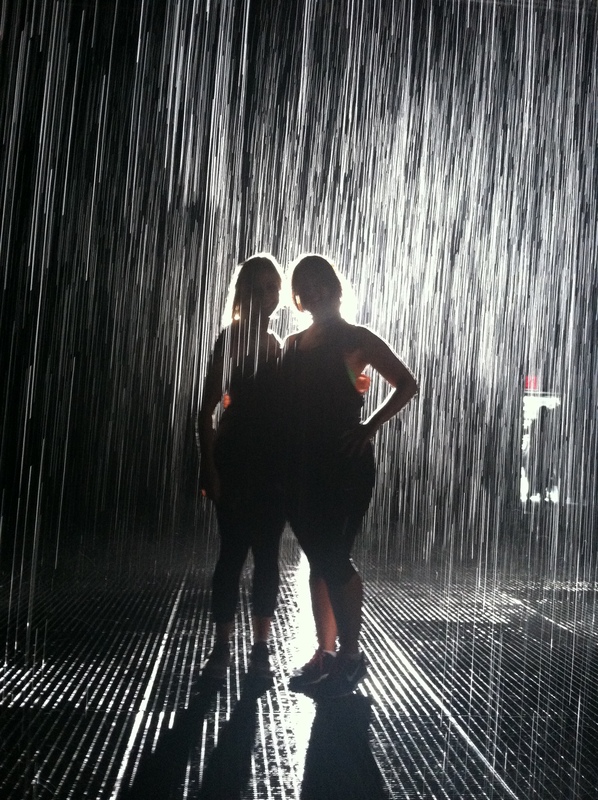 Moma – Rain Room – “A field of falling water that pauses wherever a human body is detected, Rain Room offers visitors the experience of controlling the rain.” (MoMA website). And yes, we waited for hours for this. Totally awesome, totally worth it. DiFaras – On an unsuspecting corner in the ultra-orthodox Jewish neighborhood of Midwood, Brooklyn, is what The New York Times, Anthony Bourdain, Zagat, and Frommers call “the best pizza” in NYC. 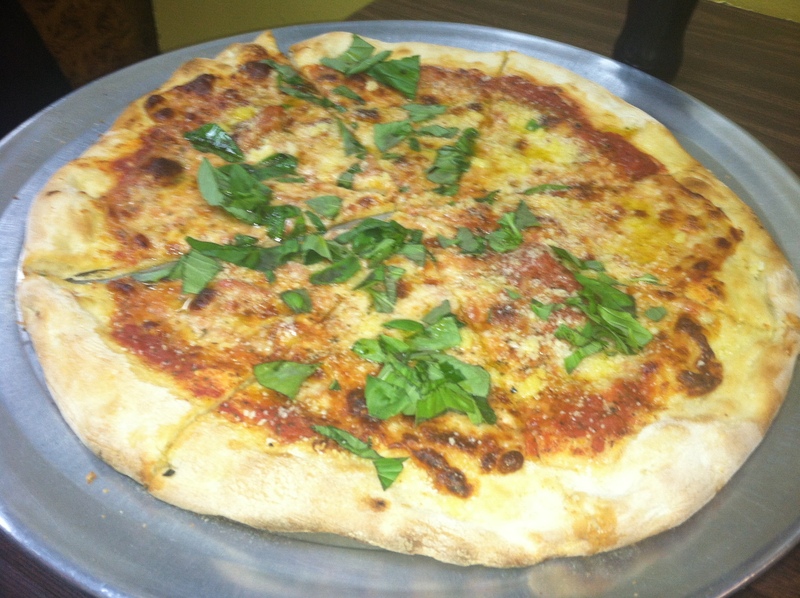 Each pie is handmade by the 78 year old owner, Domenico DeMarco. It can be a 1-2 hour wait from the time you put in your order with his daughter (more if he takes a nap! ), which makes for great people-watching as your explore the neighborhood. The entire place smells of fresh basil and the pizza is worth.the.wait. Tip: Go early, not hungry. 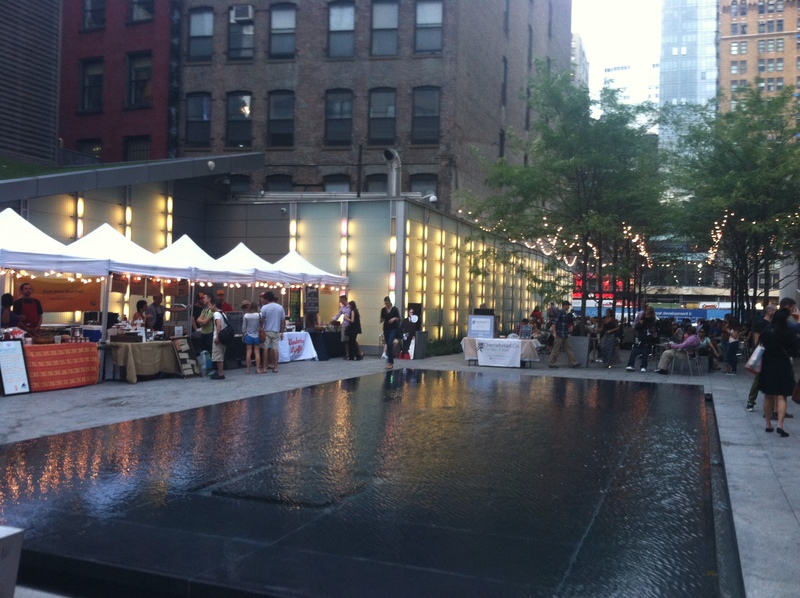 Hester Nights @ the Eventi Hotel – this weekly summer gathering of artisinal food vendors in the former food wasteland surrounding Penn Station is a welcome change of pace. Live music, streaming movies, and several great options including Portuguese pao de queijo, asian dumplings, inventive tacos, and Filipino desserts. Every Thursdays, Summertime only. 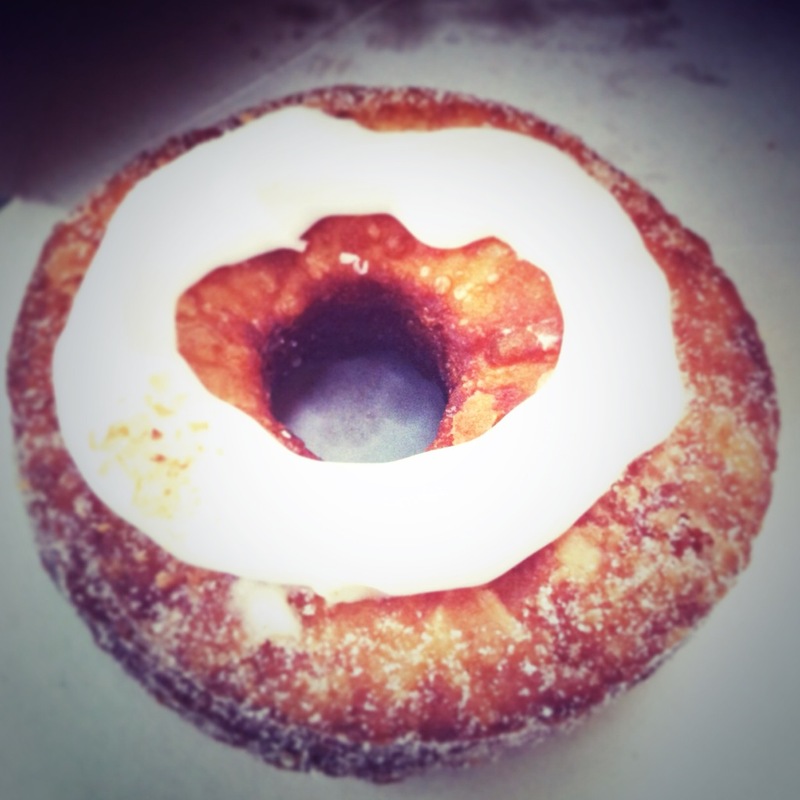 Cronuts @ Dominique Ansel Bakery – Is any explanation needed for this one? Worth.the.wait. YUM. Tip: Also get the incredible DKA pastry and enjoy breakfast in the garden in the back of the bakery. ABC Kitchen – your standard farm-to-table concept executed perfectly. Nothing not to love. 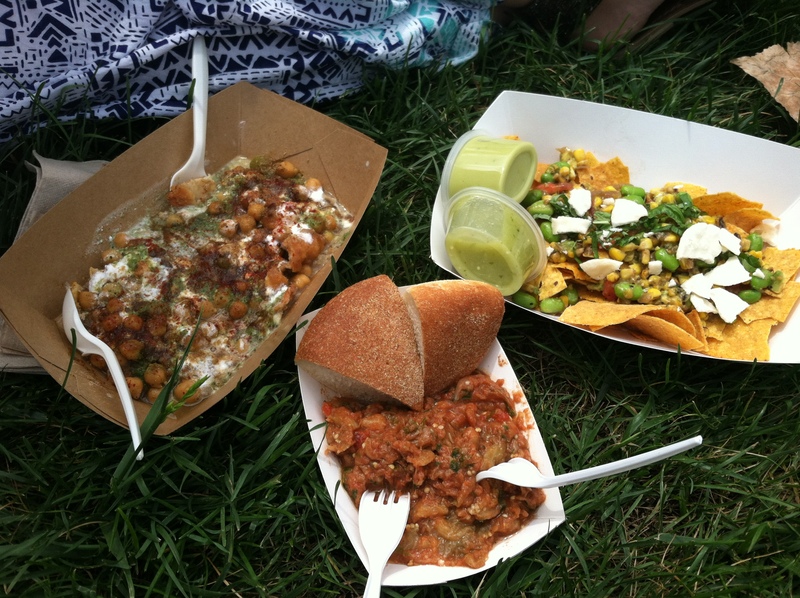 Smorgasburg – More options to choose from than room in my stomach, which only means that I’ll need to go back. 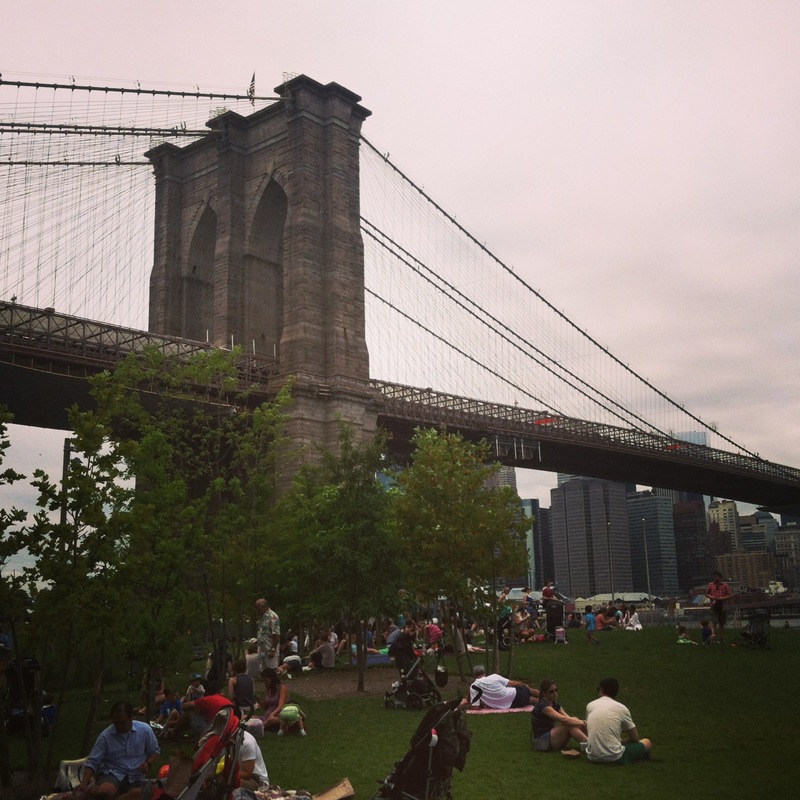 The DUMBO market had the added benefit of sitting outside by the carousel and enjoying the view of the water and the bridge. 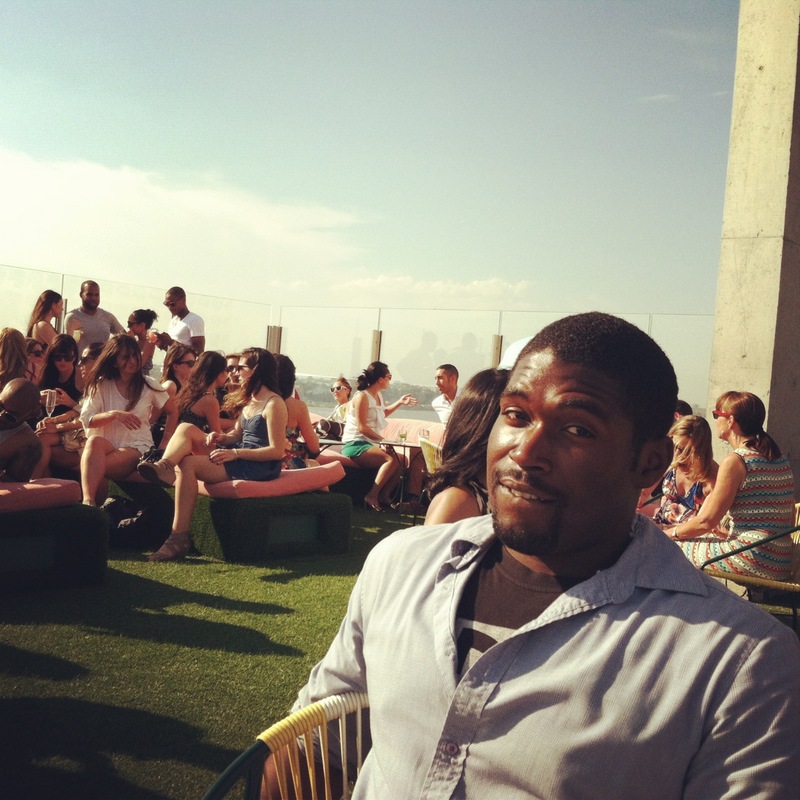 Select summer fridays @ Le Bain – a great way to kick off the weekend on a roof bar (on top of the Standard hotel) that looks out onto the Hudon & lower Manhattan. Kick back on a lawn chair in astroturf and enjoy the DJ and the people watching. One caveat: drinks were slowwww to arrive. 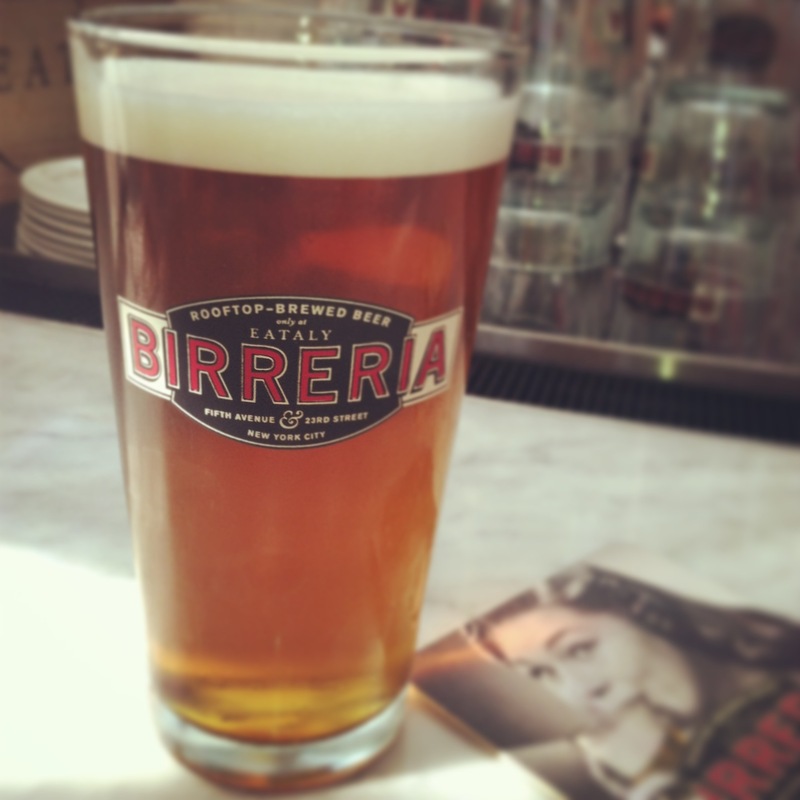 La Birreria roof deck @ Eataly – cold beer, hot day – need I say more? This roof deck on top of Flatiron’s Eataly would’ve been better had it not been the middle of the July heatwave (no fault of it’s own), but the house beers were excellent and the staff jovial (or was it heat-stroked delirium?). Tip: Come early to beat the throngs of after-work drinkers. 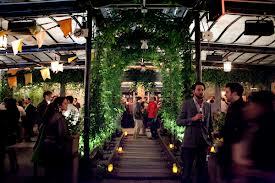 Gallow Green roof bar @ the Mckittrick hotel – far and away one of the most enchanting places in NYC, this rooftop bar (with live gypsy-jazz-esque music on the weekends) serves up incredible cocktails in a transportive atmosphere with a speakeasy feel. So wonderful, I went back again and again and again all summer. Perfect for a date. Tip: make a reservation online ahead of time. Now…to write a Fall To-Do List? What should be on it? This is great! I loved reading it and I want to go to that exhibit at MoMA now.